Spinosaurus is the biggest carnivore dinosaur lived on earth. 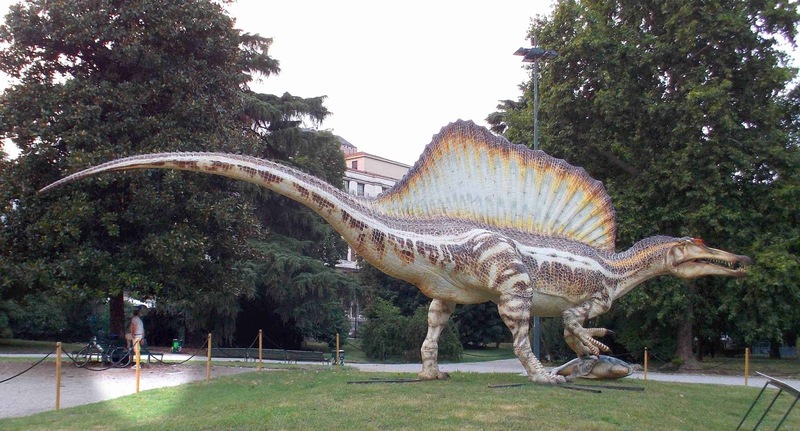 The height of the Spinosaurus is around 10 feet. Spinosaurus gets his name because of their long spine. The weight of the Spinosaurus is around 21000 kg / 21 tons. Spinosaurus can travell fastly through the water. Spinosaurus is the biggest carnivore dinosaur of all time. Spinosaurus lived on earth around 93.5 to 112 million years ago. Richard Markgraf found the first fossil of Spinosaurus in 1912. Then in 1915, German paleontologist Ernst Stromer published the article about the new genus and species later named as Spinosaurus. They found nine spines of Spinosaurus whose heights are most extended of all time was 1.65 meters (5.4 feet). Then later in 1944, the British bombing at Munich damaged them. In the first fossil, there are 20 teeth are found. Spinosaurus is a huge dinosaur. 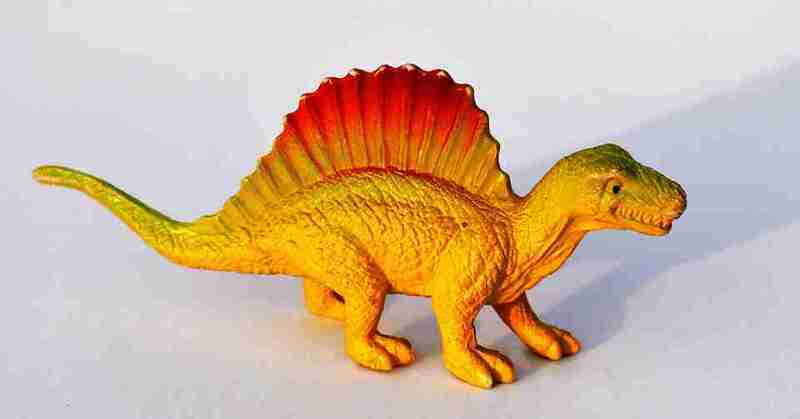 Stegosaurus has an estimated weight of 21000 kg (21 tons). They are carnivore dinosaurs. So they are known as an aggressive dinosaur. There are nine bones are found in Spinosaurus spine. 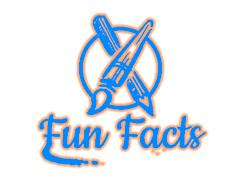 The length of the Spinosaurus is around 49 feet. Teeth of Spinosaurus have lots of varieties. They are carnivore animals, spends their lots of time in the water. Diet of the Spinosaurus was other fish, and dinosaurs. They had narrow teeth with straight conical teeth. 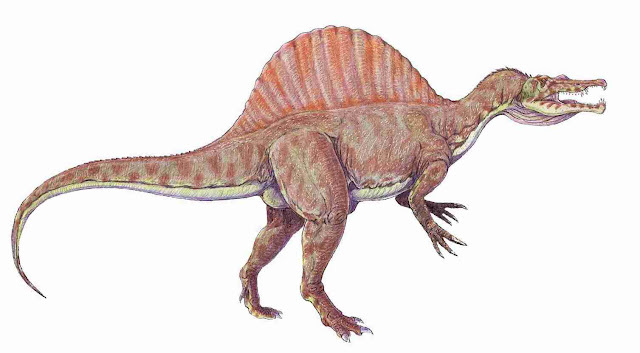 Spinosaurus had seven teeth on each side of the upper jaw, as the great attacker. If other dinosaurs hunted by Spinosaurus, then they can't escape from their mouth easily. Also, Spinosaurus had the very powerful muscle of mouth. The weight of Spinosaurus is equaled to three elephants, and it is a fun fact. Another fact is that they are around 49 feet tall. Also, the length of the Spinosaurus skull is 6 feet so we can imagine how big is Spinosaurus's head was. So Spinosaurus can efficiently complete his diet by hunting fishes. The body of Spinosaurus can easily swim fast in water. Spinosaurus is bigger than T-rex. So this is information about the Spinosaurus. 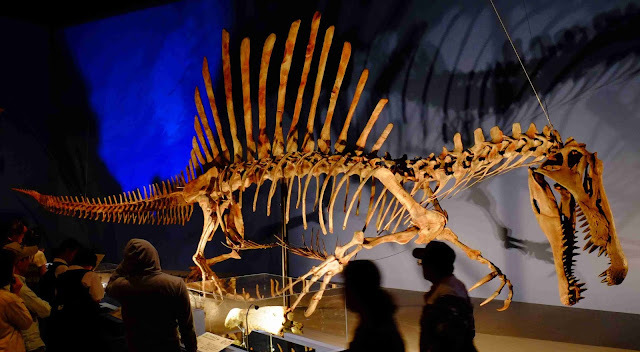 I hope my article helpful for you, please don't forget to shear and comment your thought about the Spinosaurus. Thank you!